The Waikato Rugby Union in New Zealand proudly announced in April a joint partnership with their sister club the Cornish Pirates for the 2018/19 season. 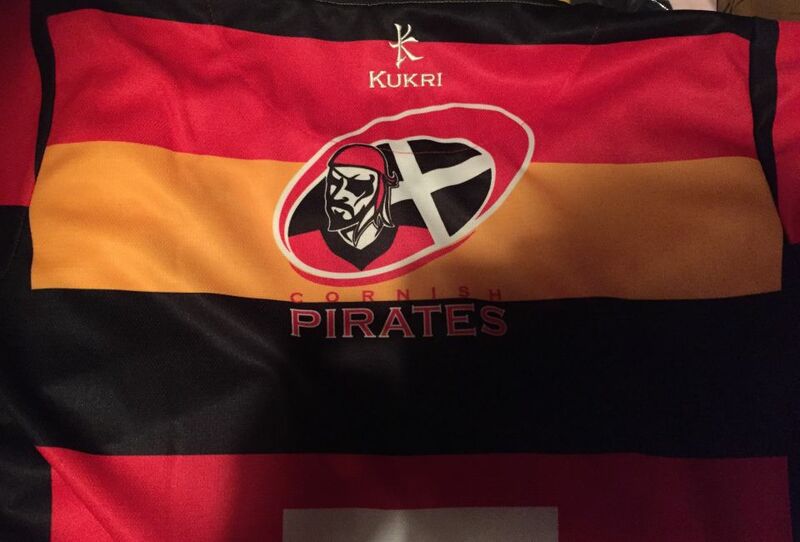 A statement said that the Cornish Pirates will be back of jersey sponsors of number ‘22’ plus they will feature on the supporters’ jerseys. We revealed the Waikato squad for this season at a breakfast function at the SkyCity Casino for 180 invited sponsors and guests. The Pirates logo came up really well on the back of the fans replica shirt and it also appears on the back of the number 22 squad shirt on match days. Also, at the event, Waikato Rugby Legend and President Duane Monkley presented a ‘Mooloo CowBell’ to Colin – it the Cornish Pirates Bell as a 2018 shirt sponsor. Mooloo the jersey cow is the Waikato mascot and the cowbells are rung by their supporters. 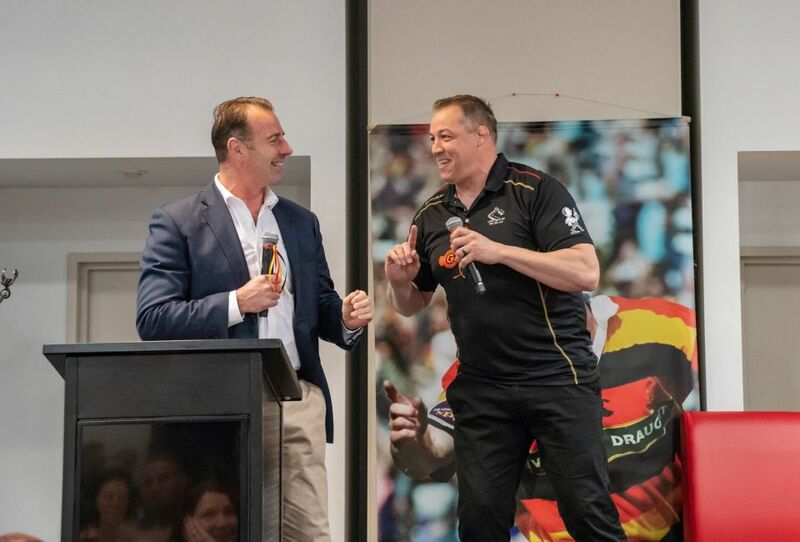 Waikato’s Commercial & Marketing Manager David Fox, who recently visited Cornwall with his wife Elaine, was MC at the breakfast gathering where former Waikato ‘All Blacks’ Matthew Cooper ( a TV Rugby commentator nowadays ) and Jono Gibbes ( Waikato Head Coach ) were present.